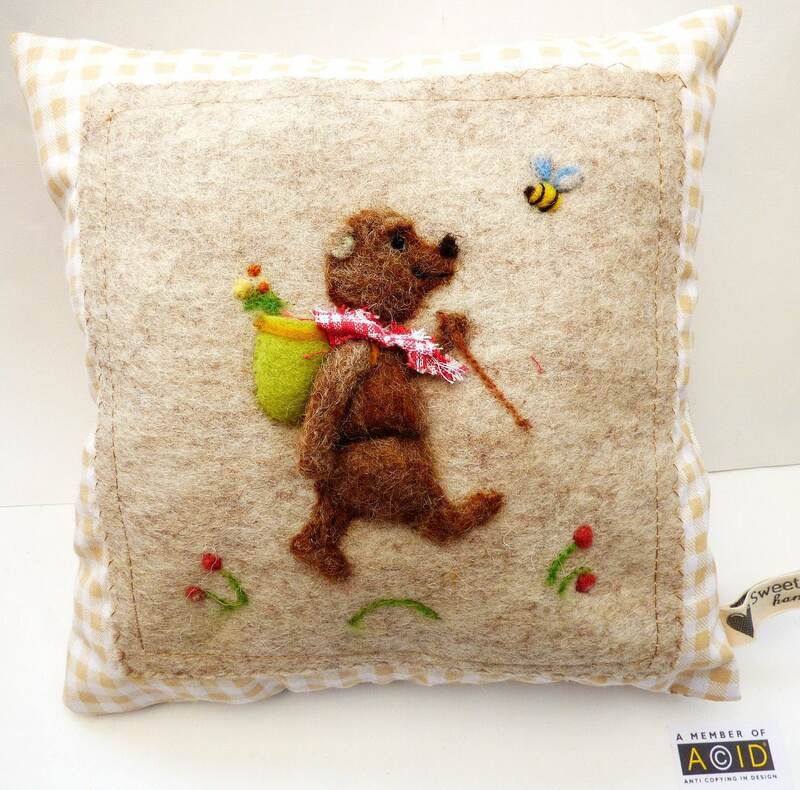 Needle felted mouse pillow, kid's room flowers and bees - can be personalized girls and boys bedroom pillow. 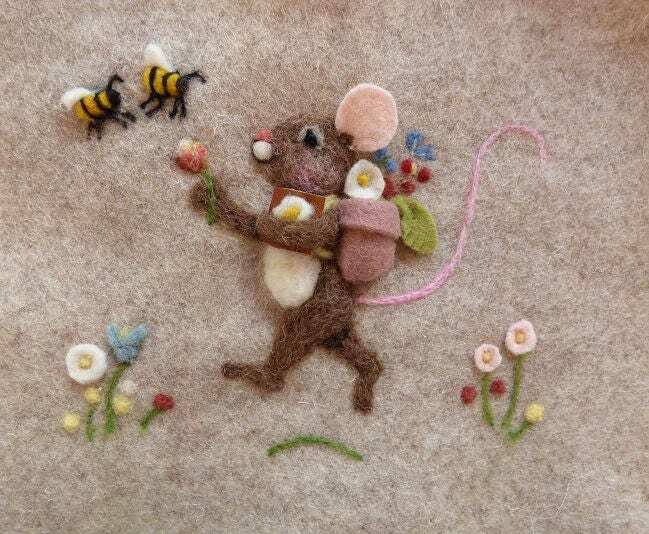 This needle felted mouse loves flowers, maybe the bees are telling her where to find them? 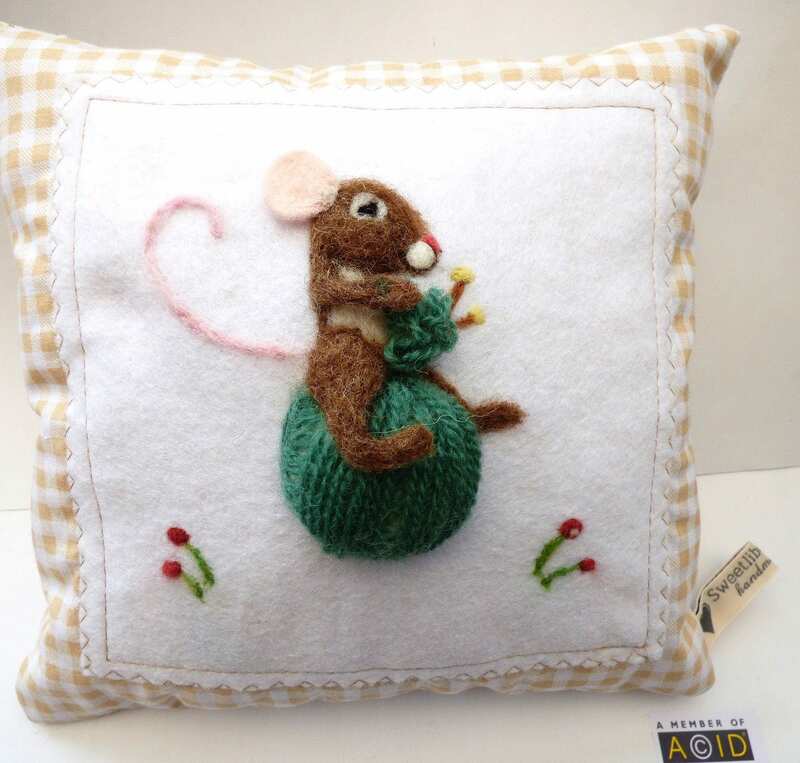 This pillow has a 3d needle felted mouse skipping along with an abundance of flowers. She is needle felted with wool in full relief so her ears, arm and pack are all 3D. The centre is a beige wool felt and the border an cream/oatmeal gingham. 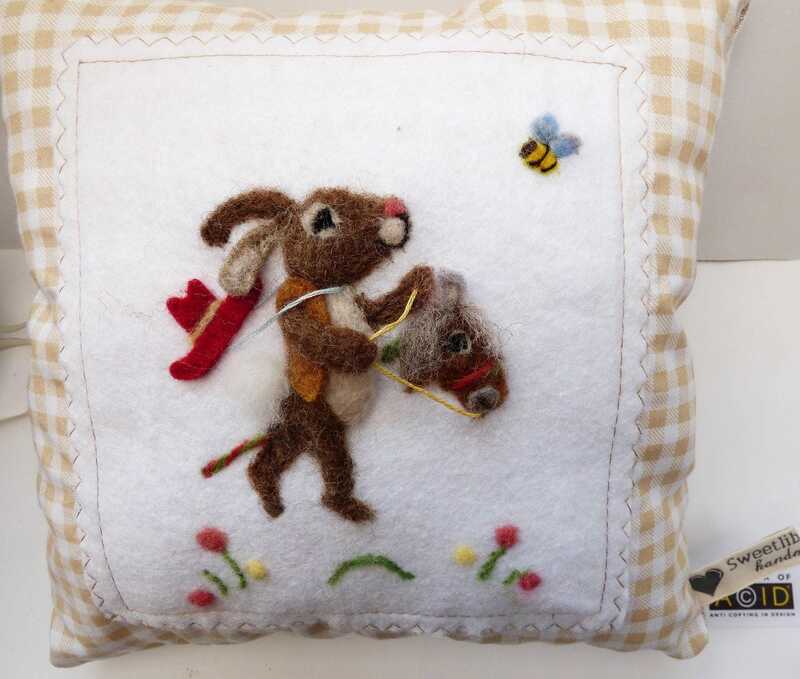 The cushion is approx 15 cm by 15 cm (6x6 inches). There is a larger size available too. 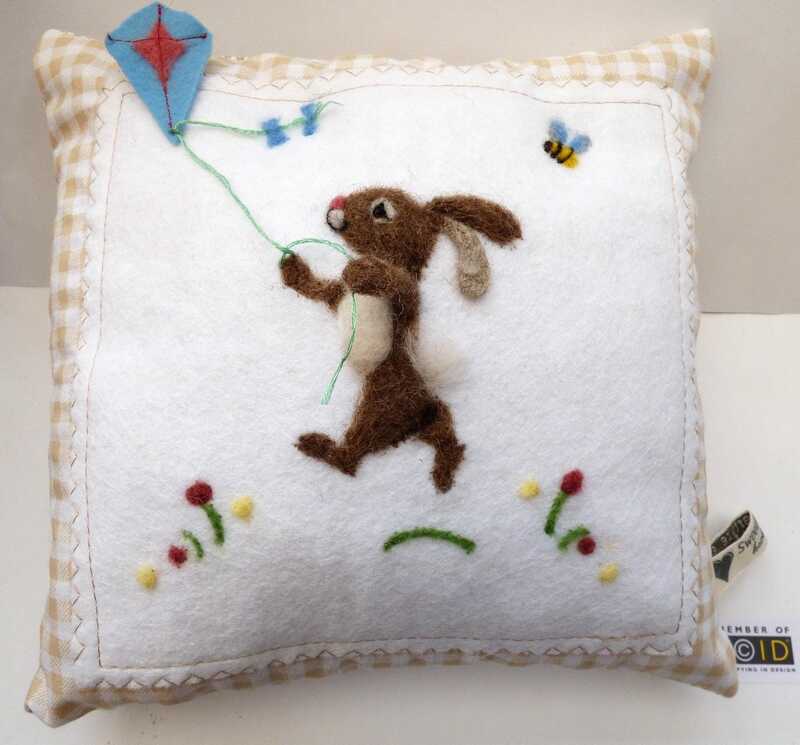 This design can also be made as a tooth pillow with a hanging ribbon and puch if desired. If you would like a name - date etc on the pillow, front or back please messsage me. For a custom pillow design just tell me what the child likes (football, space, pirates, fairies, animals, boats, ballet) and I shall come up with a design especially for them, then check with you first before I begin work. I am also happy to personalize the pillow and add the child's initials or name to the design to make it unique. I may ask for a little extra if the name is long as I embroider the letters by hand and embellish it with rosebuds (for girls)!